Sebastien Vettel continued his 2011 qualification dominance, storming to another pole position with a time of 1m 24.178s. McLaren’s Lewis Hamilton will rue his 3 place grid penalty, as he set the second fastest time of 1m24.474. 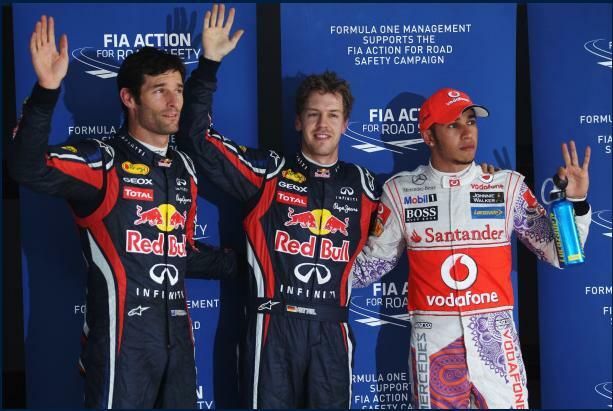 Vettel’s teammate Mark Webber was third fastest, with Fernando Alonso proving again to be the best of the rest.